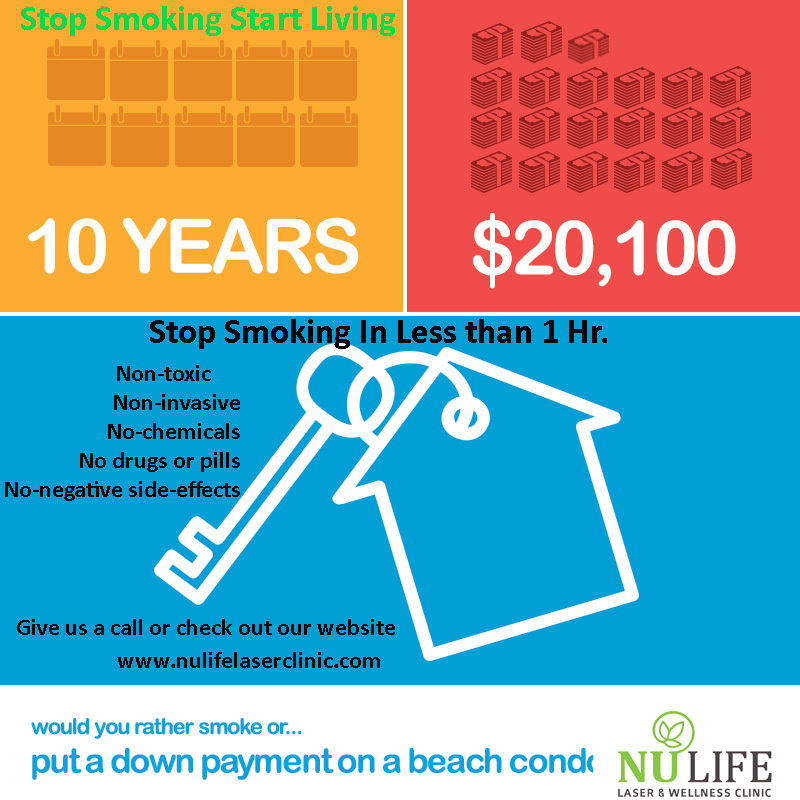 If your having a hard time quitting smoking or know someone that you can help. 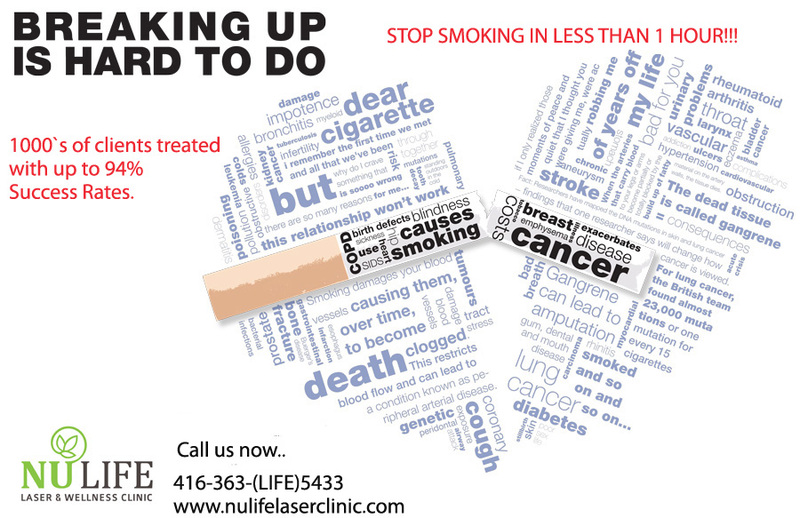 Give us a call at 416-363-5433 or check out our website http://www.nulifelaserclinic.com/LaserTherapy/Smoke-Cessation. 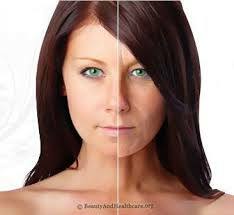 Stop Smoking in less than 1 Hr. 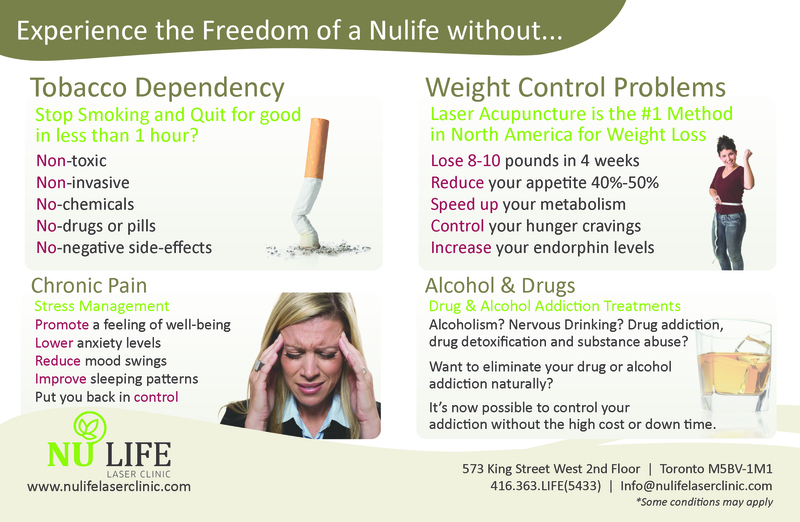 Give us a call or check out our web see how we can help you..
1000`s of people have stop smoking using the Nulife laser stop smoking program.